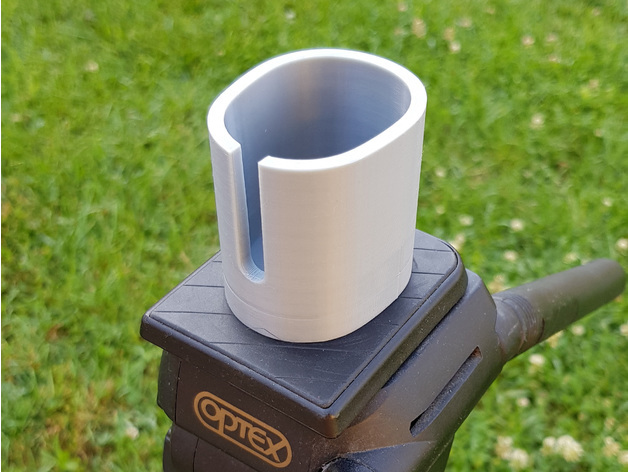 Osmo Tripod Easy Adapter #3DThursday #3DPrinting « Adafruit Industries – Makers, hackers, artists, designers and engineers! With this adapter you can easly mount your DJI Osmo device onto your own tripod, avoiding to buy any other expensive accessory. The handle of the Osmo perfectly fits inside the adapter. I have also made available this adapter with a threaded hole of size 1/4″ where you can directly insert the screw of your tripod.